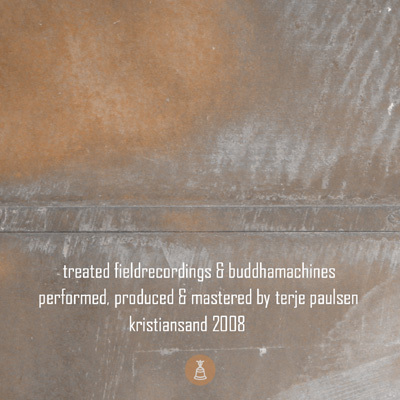 terje paulsen is a sound-artist from Kristiansand, Norway, working with simple instruments and equipment, sometimes self made, sounds from found objects and fieldrecordings from his local enviroment. He likes the sounds to be hand made and does not use a laptop. “twenty feet for buddha” is a contemplative, subtle piece with a duration of about twenty minutes. terje made this track with some treated fieldrecordings and buddha-machines. It starts very quiet with some light drones, spotted higher tones and background-noise. From this point little melody-fragments were added, bearing the listener away. A really dreamy, gentle work. Please listen to it with headphones.